Banking On Opening Day Tickets! Did the Mets Misread The Market? I've gone to every Mets Home Opener for as long as I can remember. When I would take the day off of work to go to the game, I insisted HR record the day off as a "personal holiday" and not just a vacation day. This year, I will not be there. By choice. I would love to be there. LOOVE to be there. But the price has been set too high for me. For the past several years, the only way to get into Opening Day at Shea Stadium was to buy a six, seven, or eight game ticket plan (depending on the year). This year the Mets made available a FIFTEEN game pack that included Opening Day. The prices weren't too bad, but the games thrown into the mix with the Opener were not exactly gold must-see. All the games were weeknights (or weekdays). The lowest price for the pack was about $300 a seat. I live in Central Jersey and have a one year old son. Maybe when I was 21, single, and living on Long Island I could go to fifteen weeknight games, but that's just not realistic now. I also was a little put off by the way the Mets tried to leverage the one game they knew everyone wanted to be at to get people to buy tickets they knew they'd have the hardest time selling. As a long time plan holder, the Mets called me to ask why I wasn't renewing. I explained my rationale, and the salesperson (nice fellow) reasoned with me that by not buying the fifteen game plan I was missing out on an opportunity to get goood seats in the new ballpark, and that I could just sell any tickets for games I couldn't get to on StubHub. This week the Mets announced that they were making a special FIVE game pack available that included Opening Day and any other four games in April or May. On the surface, this was a much better deal than the fifteen game pack (previously marketed as the only guaranteed way to Opening Day), and folks who bought the fifteen game pack were rightfully miffed. There was still a catch though, to this five game pack. These tickets were field level, and had a much higher price point. Even though you could pick any five games, you would have a hard time getting a package for less that $485. I have paid about $100 for a baseball ticket exactly one time. Once. A guy I knew knew a guy who had front row season tickets to Shea a few years back and a group of us took advantage. I forget the actual price but it was around $100 a seat. I did that once. I would do it again, for Opening Day 2009, because it's a very special occassion. But there is no way I am going to commit to five games at about $100 a pop. For a baseball game! Insane. Like I said, I do want to go to Opening Day. And I've been watching the ticket availability on StubHub and other broker sites. In early winter you couldn't get an Opening Day seat to Citi Field for less than $1000. Later on the lowest price was around $450. Last week it was $280. Today I saw a ticket there for $180. The face value of that seat was probablyless than $30, but the point is that ticket prices are dropping. The most telling thing is that while the lowest price for Opening Day tickets are around $200, you can buy a ticket for the next game for under $20. Twenty bucks. Same opponent, same seat, two days later saves you $180. But I digress to the point of this blog posting. I am fully aware that two nights later is not the same as Opening Night. But I think back to that Mets salesperson trying to persuade me to buy a plan, and even my friend who suggested we but teh five game pack and sell teh other four games. I am worried that the Mets have misread the market, and have duped thousands of season and plan holders into the same midset - that these tickets will be in high demand all season long. I think a lot of people "invested" in ticket plans this year, with teh intention to go to the games they wanted to go, and break even or even make money by selling the rest on stubhub. I know for a fact that the stubhub angle was used as a sales pitch at least once by the Mets (on me). But I think the reality is that the market is not going to be what the Mets thought (and sold). Ticket prices went up this year, and they went up last year about 20% over the 2007 season. So the tickets being sold for Citi are much more expensive than the ones at Shea just two years ago. I surmise that the reason the Mets felt they could raise the prices so much is they saw their tickets being sold at prices much higher than face value on ebay for the past few years and thought that their ticket prices must be too low. And I tend to agree that the Mets should be allowed to sell their tickets for market value, and had every right to raise their prices to the market. But the flaw in the logic was thinking that just because some people were willing to pay much higher than face value, that it meant many many people were willing to pay thos eprices. It's forgetting that the vast majority of ticket holders paid face value for the tickets and were very happy doing so. Even ignoring the current economic climate, I still think the Mets misread the market. Add in that recession on all of our minds, and then add in the double surcharge that stubhub collects (15% from the seller, and another convenience fee to the buyer) and suddenly the marketplace is flooded with overpriced commodities. Matt Cerrone had a posting on the topic of ticket brokers on Metsblog today, and there were many people posting in the comments section that they had regular season tickets available for sale, and that they "only" wanted face value for them. They only wanted to sell them for what they paid and weren't looking to make a profit. But what if they overpaid for them in the first place? I suspect that there are many fans out there who suddenly find themselves in the position of being amateur ticket brokers and are going to be stuck selling their tickets for less than they paid. They are going to take a loss they weren't prepared to take, and the Mets helped talk them into it. I don'[t have a problem with ticket brokers, per se. Professional ticket brokers would sell those Opening Day tickets for a large amounts, sell teh rest for face value or below, and still come out ahead. But the average fan who got involved in this are going to go to the hot games like Opening Day and the Yankees series, and not be able to sell the rest. As for me, I picked up two tickets for $36 each to the Sunday April 19th afternoon game against the Brewers. They are even giving a way a magnetic calendar, previously an Opening Day tradition. So that will be my Opening Day. I don't even have to use up one of my vacation days to attend it. And he shall be Livan! And he shall be a good man. Meet The fifth starter for the Mets - Livan Hernandez. Livan has beaten out Jon Neise, Freddy Garcia, and Tim Redding for the 5th spot in the Mets rotation. Welcome to the fold, sir. Jon Niese will stand by in AAA, and Freddie Garcia has agreed to stay with the organization and build up his arm strength in either AAA or extended Spring Training. Livan makes a great amount of sense for the Mets fifth start job. We should be very optimistic for this. Part of the Mets trouble the last several years for the Mets has been the over-reliance on the bullpen. The Mets starters rarely seemed to be able to give teh bullpen a break, and even though the 'pen should be vastly improved this year, the Mets don't want to burn them out. Livan Hernandez threw over 199 innings every year from 1998 to 2007, and pitched 180 innings last year. His best days are behind him, and he doesn't strike many batters out anymore, but if he stays healthy, goes out and pitches six innings every fifth day, the Mets should be able to have enough offense to win many of his starts. The question is, does this make Pedro Martinez officially a transplanted ex-Met? Maybe, but maybe not. WFAN and the tabloids are all freaking out about Oliver Perez's dismal performance this spring, especially after Danny Wharthen and Jerry Manuel expressd concern that Ollie may not have been working all that hard while pitching for Mexico in the WBC. He's apparently about 15 lbs overweight and needs a good kick in the rear. Add John Maine's less than stellar spring and suddenly the Mets rotation isn't so rock solid. Mike Pelfrey looked good on the mound until yesterday, but he's hobbling around the clubhouse. Should the Mets give in to Pedro's demands and get some insurance for the rotation? 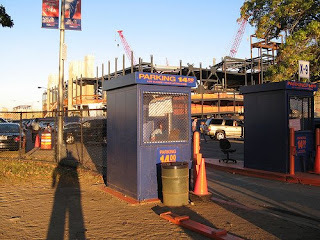 Parking at Citi Field will cost $18.00, Dave Howard announced today on WFAN. It was $15.00 in 2008 and $14.00 in 2007. I feel duped. I feel like a fool. A naive fool. And I am upset. Today, via a link from Metsblog, I learned that Jeff Pearlman has a book coming out about Roger Clemens, and in the book Pearlman cites "several sources" as saying that Mike Piazza used steroids and even admitted as much to writers he trusted. There has always been speculation? By whom? Why had I never heard such speculation? Actually I had heard the opposite, that Piazza's name had never been linked with steroids! When the Mitchell Report came out, some Mets fans crowed that the Yankees should give back the 2000 World Series title to the Mets because of all the juiced up Yankees named in the report vs. the number of Mets from the 2000 squad. I never once heard a whisper about Piazza. As recently as a few weeks ago, Craig Carton on WFAN said that he loves to needle Mike Piazza, and tell him he should have been on the juice so that his fly ball off Mariano Rivera would have gone over the centerfield wall at Shea. Call me a fool, but I had really bought into the amazing story of a 62nd round draft choice who had become the greatest hitting catcher in major league history sheerly by hard work (and family connections). He navigated from ultra-non-prospect to 427 career homers. I can pretend that while he was doing this people were not talking about certain physical quirks that raised suspicion, notably a back full of acne. But that would be dishonest. For the record, Piazza says he was a clean player. "Absolutely" is the word he used. He claims he is not on the now infamous list of 104 failed steroid tests from the survey phase in 2003. "No, not that I know," he said. To me, that last line is actually the most damning. Why would he qualify his "no" with a "not that I know"? Wouldn't he know? Hasn't it been documented that players on the list were informed? Isn't that the same flimsy reasoning that A-Rod tried to use as an alibi for his own lies? Circumstantial evidence against Piazza is almost as strong as it is against Barry Bonds and Roger Clemens and Mark McGwire and Sammy Sosa. Now as naïve as I might have been about steroids, the one thing I knew was that use of steroids supposedly causes the user to have acne on his back. As I said, Piazza had plenty of acne on his back. When steroids became a daily subject in newspaper articles I wanted to write about Piazza’s acne-covered back. I was prepared to describe it in disgusting living color. But two or three times my editors at The New York Times would not allow it. Piazza, they said, had never been accused of using steroids so I couldn’t write about it. Whatever the reason, I never got Piazza’s suspicious acne into the paper. Then all of a sudden the acne was gone. Piazza’s back was clear and clean. There was not a speck of acne on it. His back looked as smooth as a baby’s bottom. What a remarkable development. It was a medical miracle. If teenagers could get hold of whatever Piazza used to clear up his back, they would be rid of the acne problem forever. But the method Piazza used became apparent to me. It wasn’t medicine or any substance; it was abstinence. 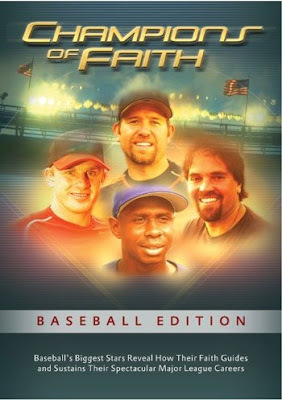 This was during the 2004 season, the first season baseball was testing for performance-enhancing substances with identification and penalties attached. If Piazza had been using steroids and didn’t want to get caught, he had to stop using. If he stopped using, his back would clear up. His back cleared up. Completely. Now, severe backne certainly isn't enough to accuse anyone of anything, not even when it suddenly disappears. But the fact is that three separate journalists are raising this issue while also alluding to a whisper campaign. This really ticked me off at the time I read the first two articles. Why now, guys? What has changed in 2009 that causes you to put the whispers into black and white since the first part of the decade, besides the Alex Rodriguez scandal? Without new evidence, if it wasn't appropriate in 2001 or 2004 to write about Mike Piazza and steroids, it's not now. These writers were part of the PR machine that fueled New York's Mike Piazza As Hero storyline, and now all of a sudden the sure-thing-first-ballot-hall-of-famer notion isn't such a sure thing. These writers decided for themselves that this was the time they would write the angle, even though they'd been sitting on the story for years. The only thing that's changed is the way Alex Rodriguez has been selling newspapers at a time when newspapers are going out of business. But while we can cry all we want about due process, the evidence is now out there for public debate. And there won't be a court trial for Piazza like there will likely be for Bonds and Clemens, so we won't get a jury or judge to give us a "beyond a reasonable doubt" conclusion. It's up to us. And as gullible as I may have been during Mike Piazza's Mets career, I do now feel inclined to believe Peralman and Chass and Sherman today, as wrong as I think it is for them to print the allegations. I am embarrassed to have been so naive, and I'm bummed that there is one less "good guy" in the world of sports for us to root for. Yes, it underscores the reality that athletes make lousy role models, and that's actually a good thing to be reminded of, but it sure was fun rooting for Mike Piazza, and those memories are now inarguably tainted. Also inarguable is that if Mike Piazza used steroids, it makes him less "great." Even if 50% of the players between 1996 and 2003 used PEDs, even if it was 99% of baseball players, even if you think greenies and spitballs and stealing signs are worse than steroids, the reality is that these rumors, if true, taint the Mike Piazza Era. If you didn't think he did steroids, and evaluated his career, that evaluation must change to some degree with the knowledge that he used illegal performance enhancers that were not available to Carlton Fisk. Thanks for visiting today. Now I'd like to send you elsewhere! Some of my fellow bloggers have posted some photos that I think you'll be interested in. First, Mets Guy in Michigan posts a pic from inside CitY Field that shows how the Mets have taken a relic from Shea and found a use for it in the new park. And I'm not referring to the apple! Next, Loge 13 shows how our tax dollars are being used to make sure Long Islanders find their way to ballgames. Today I took a drive down to my local Barnes & Noble and picked up Faith And Fear In Flushing (the book! ), written by fellow blogger Greg Prince. Now, normally I wouldn't mention buying a book like this before I'd read it, but I have yet to read even one blog posting by Greg that I didn't absolutely love. Also, even if this book is downright terrible (inconceivable, but stick with me), I'm just so thrilled to see a Mets blogger get published that I am too proud to wait! I feel like the entire Mets blogging community got published. Congratulations, Greg! And if anyone out there isn't a regular reader of Faith and Fear In Flushing, you are seriously missing out. Read the blog and buy the book, already! If you read Newsday today you saw some ex-Mets with opinions. Opinions I'd rather them keep to themselves. First, Gary Carter says A-Rod should be forgiven for his transgressions since he's come clean about them. Please. A-Rod's "apology" was so weak, so full of balogna... as Dwight Schrute would say, "Apology Rejected." Tom Glavine says Pedro Martinez needs "to be mindful what the market is, what you can realistically get" and then pats himself on the back for taking less money to pitch in Atlanta. OK, buddy. This from a guy who took more money from the Mets even though everyone knew he'd rather pitch in Georgia. Hey Tom, get off your high horse and go take a taxi, OK?